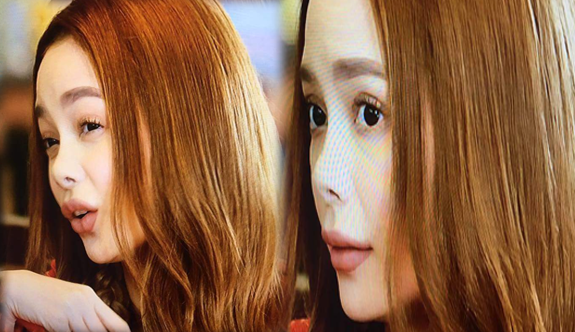 The actress, who portrays a free-spirited boss of Gabriel (Gerald Anderson) named Alex, looked completely different as seen in the series of photos below which shows the shape of her nose changed. And it's safe to say that the drastic change in her appearance has received mixed reactions from netizens. One netizen commented: "Oh my ghad! She really needs to find a really good surgeon! Pang Botched yung nose job nya ngyun.sinong doctor nangtrip ng ilong mo? Laking inget nun siguro sa ganda mo." "Sayang... Sana di na nya lang ginalaw yung ilong nya, maganda naman yun dati" another said.